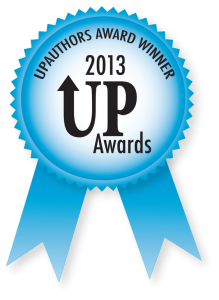 March 11th, 2013 UP Authors announces their first cash prize FICTION CHALLENGE! Over the years, UP Authors had run several different types of contests to give authors every possibility to be promoted and win awards to show off to their fans. But now, UP Authors are raising it to another level by giving away cash prizes, promotion, along with discounted marketing packages in conjunction with Novel Publicity! The Fiction Challenge is open to all fiction authors of any genre, or age group. Why are we doing this? Because UP Authors wants to find that hidden gem and show the world what they have been missing. There are plenty of entertaining traditional and self-published books that have not done well in the marketplace. UP Authors wants to change that. And what’s even better, is you can submit your unpublished manuscript, which will certainly give you a head start in promoting your new book. Seven cash prizes will be given away, including a first place prize of $1,000. Winners will receive a JPEG Award seal to post on their website, social media pages, or even their books. And UP Authors will post an interview with the author, along with a press release, and a valuable testimony. In addition, Novel Publicity is giving away seven different prizes to go along with their amazing marketing packages! Publishers and networking groups that send over their authors to the Fiction Challenge will receive extra promotion. And if the author promotes the Fiction Challenge, they will receive even more promotion! UP Authors hires a staff to read over the thousands of entries, so a $10.00 fee is needed. However, that investment is worth the massive amounts of promotion that the author can receive, along with the chance of winning $1,000! Entries have already been coming in since February 1st. UP Authors will continue accepting submissions until April 26th. Finalists will be announced in June and the winners will be announced in July.